Our hospital provides a wide range of surgical services. Surgical procedures are scheduled Monday, Tuesday, Wednesday, and Friday. All anesthetic procedures performed at Pana Animal Hospital receive full anesthetic monitoring by a Certified Veterinary Technician. We also use advanced monitoring equipment (similar to what is used in human medicine) to measure the patient's blood pressure, heart rate, blood oxygen saturation, temperature, and respiration rate throughout the procedure. Our technicians also provide detailed and compassionate pre- and postoperative care. 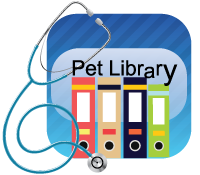 All surgical procedures completed on senior pets (ages 7 and older) include an intravenous catheter and pre anesthetic blood screening performed by our technicians. We highly recommend these safety procedures for all of our surgical patients.